Born: 5 May 1877, Edinburgh, United Kingdom. Died: 27 January 1947, Cape Town, South Africa. Alexander Brown was educated at Newton Public School (1884-1887) and George Watson's College, Edinburgh (1889-1893). He continued his studies at the University of Edinburgh from 1893 to 1897 in both arts and science subjects, graduating in the latter year as Master of Arts (MA) with first-class honours in mathematics and natural philosophy. In the same year he was awarded the degree Bachelor of Science (BSc), with distinctions in the same subjects. During and at the conclusion of his student years he was awarded various prizes, medals, bursaries and scholarships. From 1897 to 1898 he taught mathematics at Dundee High School, but in October 1898 entered Gonville and Caius College, University of Cambridge. In 1901 he was senior wrangler (the top candidate in the honours examination in mathematics for the BA degree at Cambridge) and the next year completed his course as the best graduate in mathematics of 1902 and was awarded an MA degree. Brown came to the South African College, Cape Town, in February 1903 as deputy professor in applied mathematics and physics, to stand in for Professor J.C. Beattie* who was on a year's leave. By the end of the year he had made such a good impression that the college council decided to split Professor Beattie's post into two, offering Brown the professorship in applied mathematics while Beattie remained professor of physics. Brown remained in his post, first at the South African College to 1918 and then at its successor, the University of Cape Town, until his death in 1947. He was not an active researcher and published only a handful of papers. At the joint meeting of the British and South African Associations for the Advancement of Science, held in South Africa in 1905, he read a paper, "On the convergence of a reversed power series", a summary of which was published in the British Association's Report for 1905 (pp. 318-321). In 1904 he became a member of the South African Philosophical Society and in November 1907 presented a paper before its members on "Examination of the validity of an approximate solution of a certain velocity equation", which was published in the society's Transactions (1905-1907, Vol.16, pp. 459-465). He remained a member when the society became the Royal Society of South Africa in 1908. After several years he published three papers in quick succession in its Transactions (1916, Vol. 5): "The equivalent mass of a spring vibrating longitudinally", "The arrangement of successive convergents in the order of accuracy", and "The use of a standard parabola for drawing diagrams of bending moment and of shear in a beam uniformly loaded". Following this flurry of activity he was elected a Fellow of the society in 1918. In later years he was a member of council (1931-1935, 1941), served as honorary treasurer (1936-1940), and was president of the society from 1942 to 1945. Brown assisted professors Beattie and J.T. Morrison* with the compilation of the results of their magnetic survey, and in writing their report for the Royal Society of London on the observations made during 1898-1906. He was interested in seismographic work and in 1932 acquired a seismograph from the Royal Observatory, Cape of Good Hope, for his department at the University of Cape Town. This instrument indicated only east-west earth movements, but two years later he obtained a second seismograph with which to observe north-south movements. He distributed a monthly seismographic record to 19 seismological stations throughout the world, but did not publish on this work. He was an excellent lecturer, always accessible to students. However, during the nineteen-thirties he began to feel cut off from the main academic centres and with little demand for post-graduate instruction his syllabuses began to lag behind those of overseas universities. 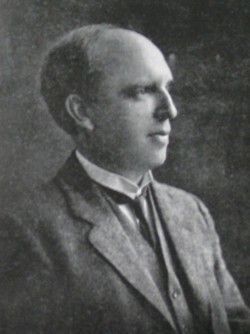 Brown became a member of the Edinburgh Mathematical Society in 1898 and contributed at least two papers to its meetings: 'On the ratio of incommensurables in geometry' (1905) and 'Relation between the distances of a point from three vertices of a regular polygon' (1909). He was elected a Fellow of the Royal Society of Edinburgh in 1907. From 1903 he was a member of the South African Association for the Advancement of Science, serving on the committee for Section A in 1907/8 and as honorary general treasurer of the association for 1918/9. From 1907 to 1916 he was a regular examiner in mathematics for the BA degree of the University of the Cape of Good Hope. Throughout his career he gave outstanding service in administrative work, serving as a member of many committees, as senate assessor on council (1908-1910), vice-chairman of senate (1912-1914), and member of council of the University of Cape Town from 1918 for many years. In 1938 he was appointed the university's representative on the Cape Hospital Board and the next year became chairman of the Groote Schuur Hospital Committee. His work in these positions was of the highest value. In 1911 he married Mary Graham, with whom he had a son and a daughter. Obituary notices: Alexander Brown. Transactions of the Royal Society of South Africa, 1948, Vol. 31, pp. xli-xliii. Royal Society of South Africa. Transactions, 1908-1910, Vol. 1; 1915-1918, Vol. 5-6. South African Association for the Advancement of Science. Report, 1903, 1908, 1910, 1918. South African Philosophical Society. Transactions, 1905-1907, Vol. 16-17. University of the Cape of Good Hope. Calendar, 1908/9-1917/8).